Food: Rasa Mayfair, London - Daisy Chains. Last Friday I went down to Rasa. 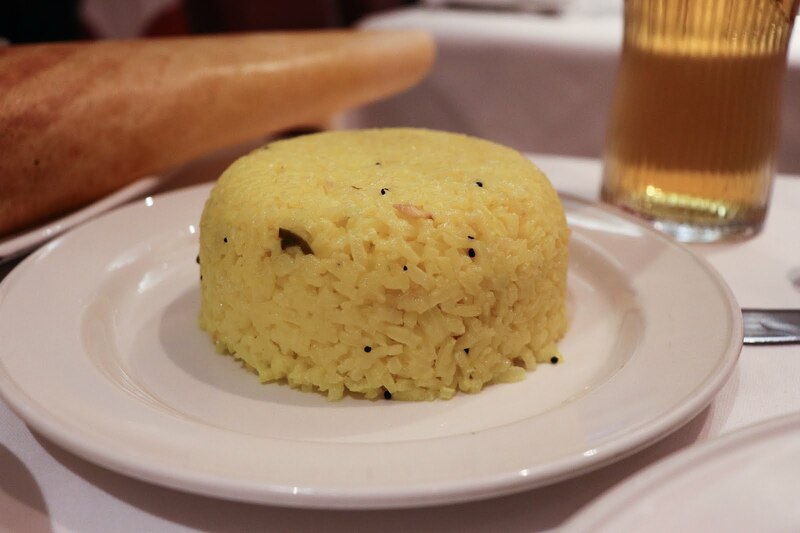 The restaurant itself specialises in South Indian cuisine from Kerala. The restaurant currently have two branches in London one in Stoke Newington and the other in Mayfair where I went. 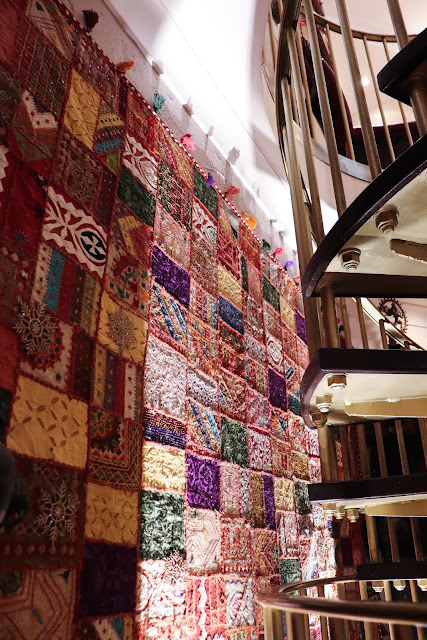 The Mayfair restaurant had pink interiors, a spiral staircase and the most beautiful patchwork that I had ever seen hanging off their wall. 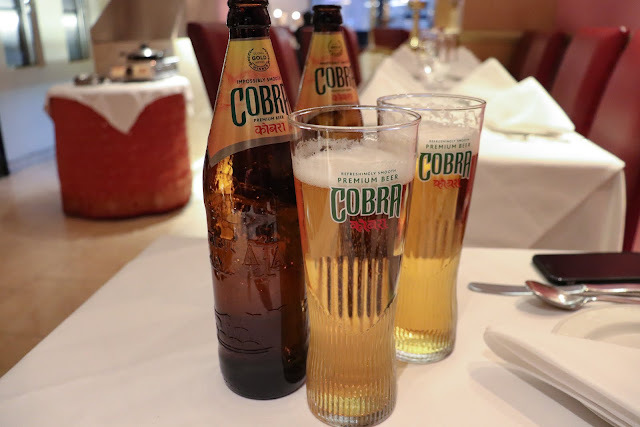 We started our evening off with a Cobra beer each which was well deserved after a long day of working. 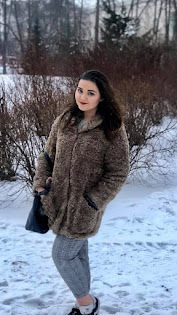 There were many items on the menu to choose from and Rasa have both vegan and non vegan options so there is definitely something for everyone. Having come to try the vegan menu, we certainly were spoiled for choice. To begin we ordered the Kathrikka which is a dish of aubergines fried in a chickpea batter and served with tomato chutney and salad. 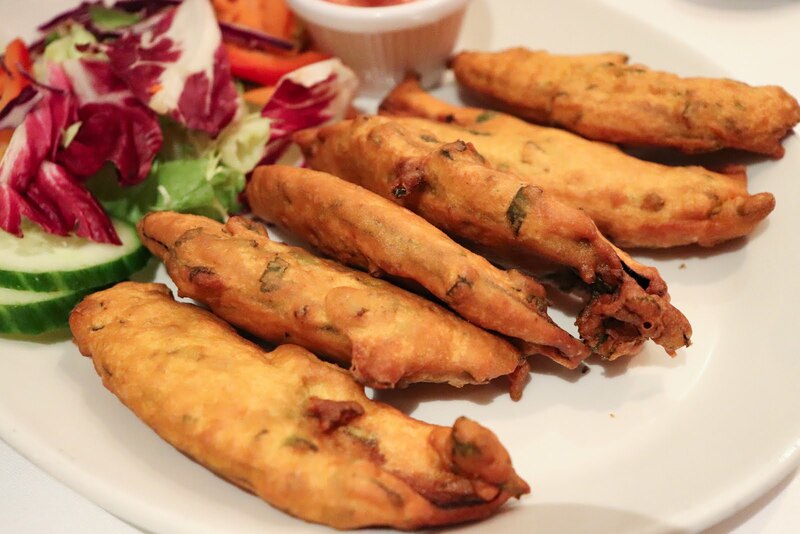 Upon eating the fritter it is apparent that there is a hint of coriander in the batter and that the fritter is lightly curried. Although there was a spice to this it was not very spicy so if you're looking for something that is just mild then this would be for you. 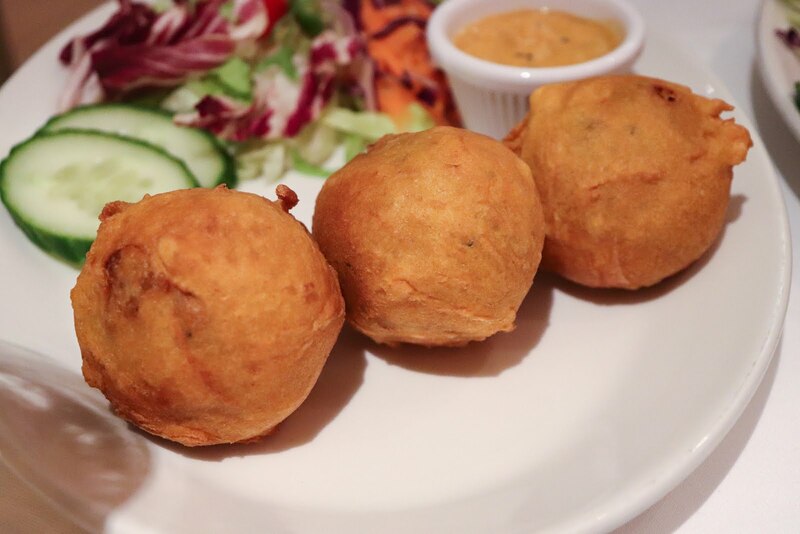 Alongside this we also ordered the Mysore Bonda which are mashed potato balls deep fried in a chickpea batter and served with a dipping sauce. Once again a key flavour here was definitely the curry leaves and coriander which stood out the most. The potato itself was creamy and contained tiny black mustard seeds that gave the potato ball a bit of a mustardy taste. A great thing about this dish is that it is gluten free so if you have an allergy then this place has batter that you do not need to worry about and can eat. Both starters were absolutely delicious but my only advice is that if there are just two of you I'd stick to one starter as both are incredibly filling! Despite being full from the starters, we absolutely had to power on. 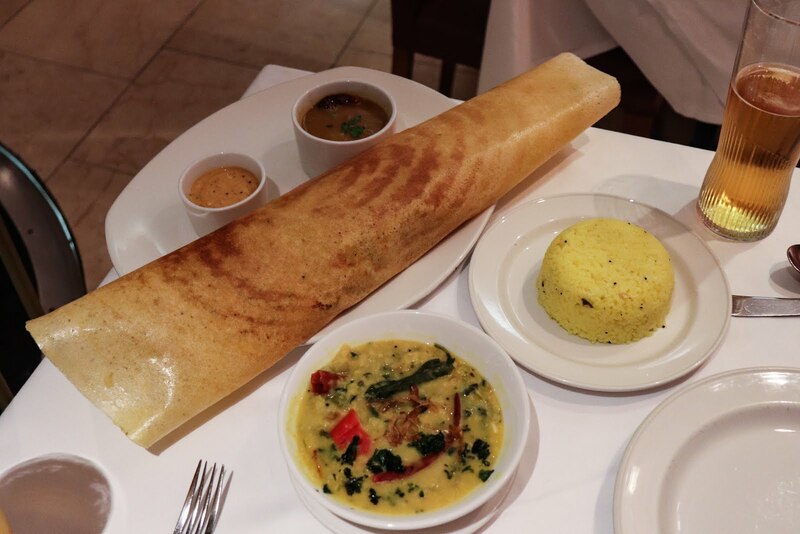 For our mains we ended up getting the Masala Dosa the Cheera Parippu, Rice and Appam. The Masala Dosa itself was probably one of the biggest dosa's I had ever seen in my entire life. It came filled with spicy potatoes and onions and served with two sauces. One of the sauces I could clearly tell was masala but I was not sure what the green sauce actually was. My best guess was that it was a tea based sauce or had tea in it as this is what it tasted strongest of. Either ways, it was absolutely delicious and I had a lot of fun showing my friend how to eat a dosa. 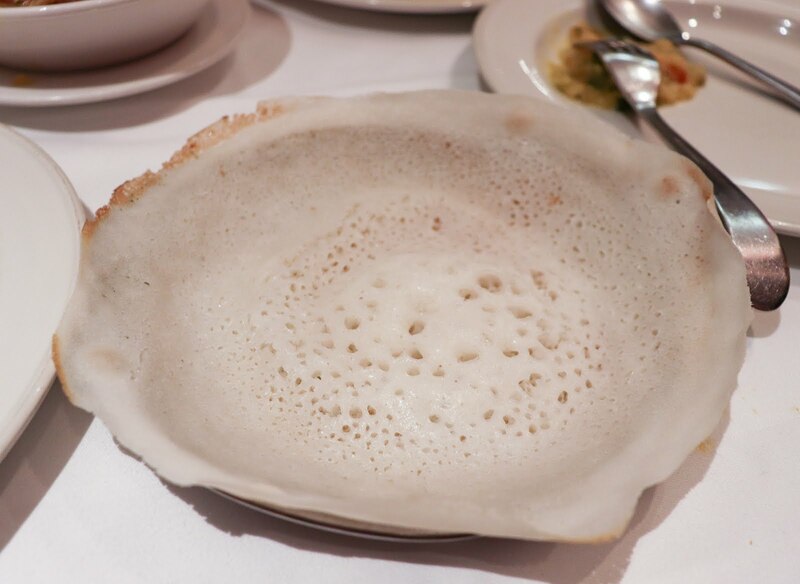 Besides the rice and the dosa we had the Appam which is not to be forgotten about. I mean it was incredibly hard to forget about this bread and I still think about it quite regularly. This was a unique bread which I felt was unlike any other bread I had had in an Indian restaurant. The bread was pancake textured made from rice and was incredibly fluffy. Tearing little pieces out made it a perfect accompanment to the Cheera Parippu as it soaked up the curry nicely. The pancake has a delightful coconut flavouring to it that adds extra flavour to the curry. Again this is another item that is gluten free so once again you really are spoilt for choice at Rasa regardless of your dietary needs! At the end of our meal we were informed that not only do Rasa also have a Stoke Newington branch, but they have a whole retreat in Kerala called Rasa Gurukul which is worth checking out if you're in Kerala. The establishment is more than just a hotel and offers and authentic taste into the village lifestyle and way of life. Days at the retreat start with yoga and you can even unwind with Ayurvedic massages based on an ancient medicinal system. Food of course is a centrepiece of their establishment with all of it being sourced locally on the site farm. Overall, I would highly recommend Rasa to everyone. The food is flavoursome, filling and suits a wide range of dietary needs. Most importantly, it is authentic and the service and staff are incredibly knowledgeable, helpful and friendly.